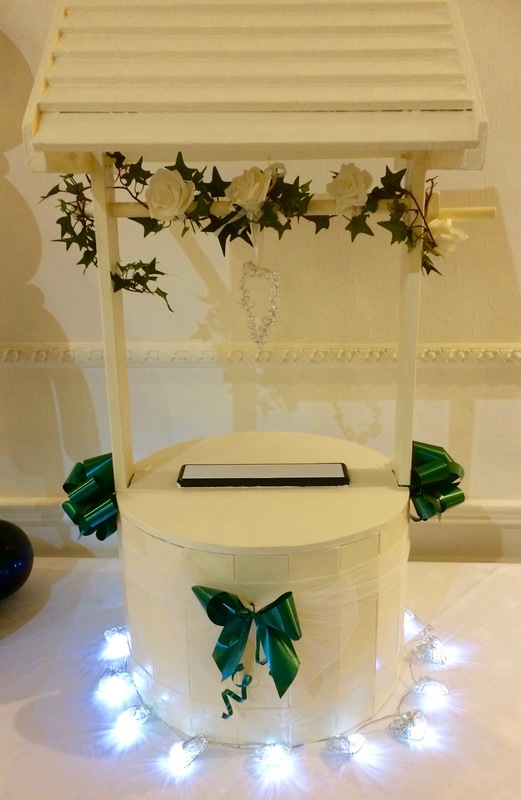 ivory wooden wishing well, stands approx 4ft tall, with artificial white roses around handle and ivy. 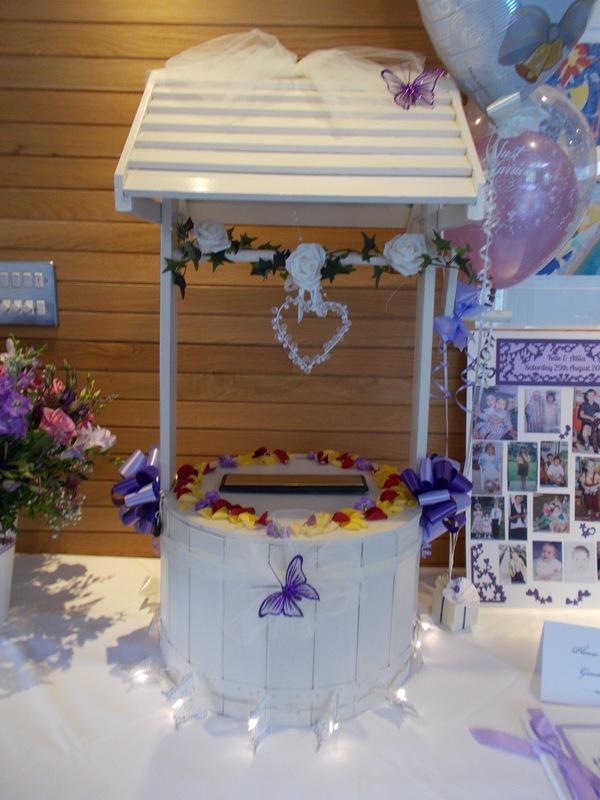 Decorated and themed to your wedding in any colour of bows, etc. Has 2 small padlocks to keep all cards and small packages safe. Hire for upto 4 days. Collection from me or delivery can be arranged for a small charge. 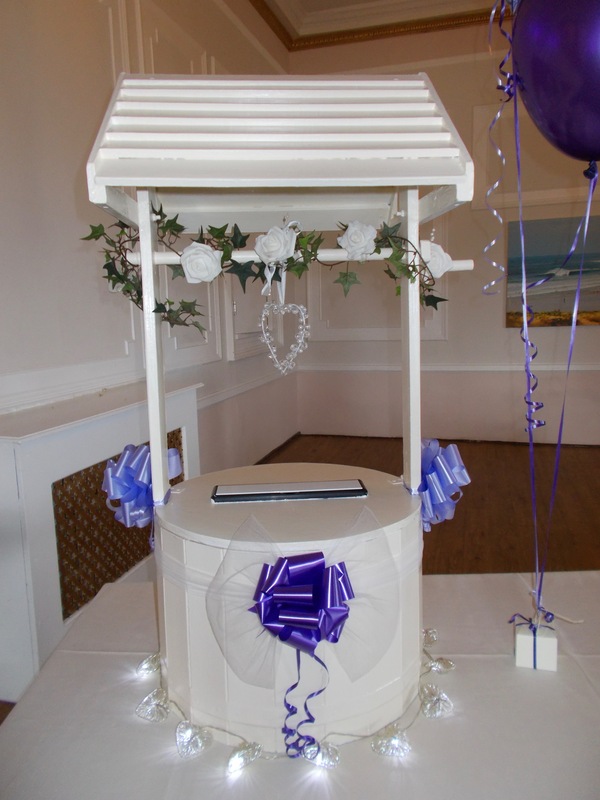 Cost of hire £30.00 with option of hiring battery operated lights for around the base for extra £5.00. Deposit of £50 in case of damage or loss which is returned to you on returning the postbox to me.